Connecting shippers with carriers since 1999. Use Central Dispatch for 30-days at no-charge*. of their auto transportation needs. Leverage Central Dispatch’s powerful network of professional auto transportation companies to get your customer’s vehicles moved quickly and efficiently. Combined with jTracker, our broker platform gives you the power to grow your shipping business and stay ahead of the game. 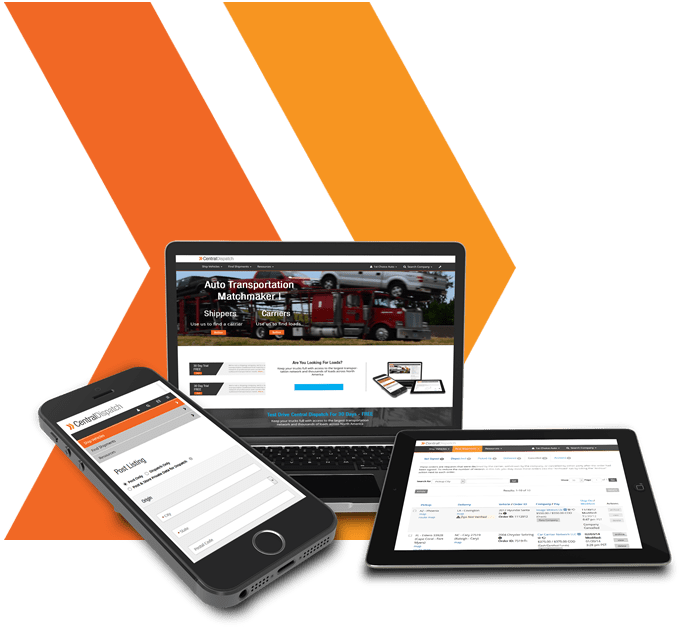 Accelerate your business and keep your trucks full with millions of loads posted on Central Dispatch. Our tools help drivers and dispatchers work smarter, faster, and better. Sign-up today to use Central Dispatch for 30-Days at no-charge*. Our no-risk trial gives you access to the largest and most trusted network of auto transport professionals.